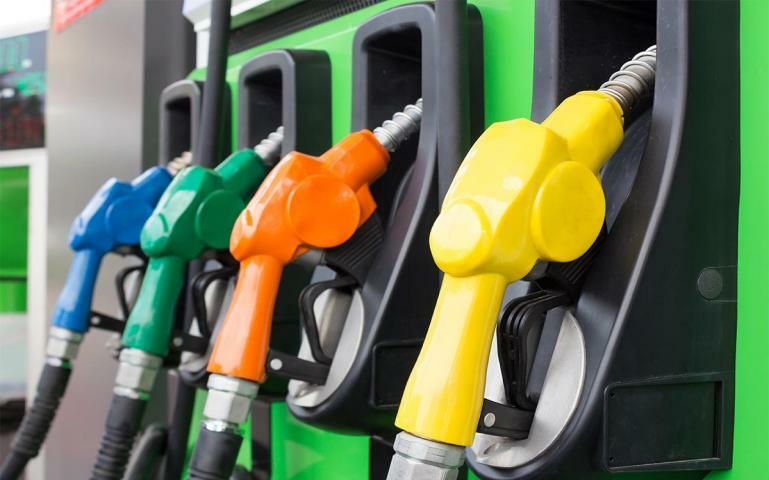 ASTM D1319 determines saturates, olefins, and aromatics in petroleum samples, including those in the gasoline-range, by fluorescent indicator adsorption (FIA). In FIA, a petroleum sample is placed on a silica gel column containing a mixture of fluorescent dyes, followed by solvent elution to separate the saturates, olefins, and aromatics, as well as the dyes. Dye boundaries on the silica column, noted by ultraviolet light, are used to mark the appropriate fractions. The length of each fraction is representative of its volume percent in the original sample. As you might imagine for a low-efficiency silica adsorption-column, the “cuts” between fractions are not clean, so some olefins, like dienes, are split between the aromatics and olefins, which can bias results. In addition, improper packing of the silica column or incomplete elution of the aromatics can produce errors. Another potential problem with ASTM D1319 is contained in the following method footnote: “The sole source of supply of the standard dyed gel known to the committee at this time is produced by UOP, LLC…”. If the dye fails to properly indicate the fractions or becomes unavailable… not good. 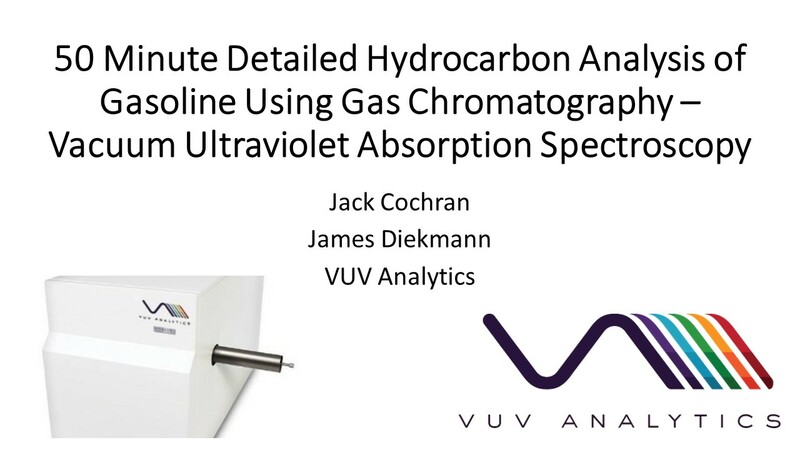 A better way to determine saturates, olefins, and aromatics in gasoline-range samples is by using gas chromatography – vacuum ultraviolet spectroscopy (GC-VUV). 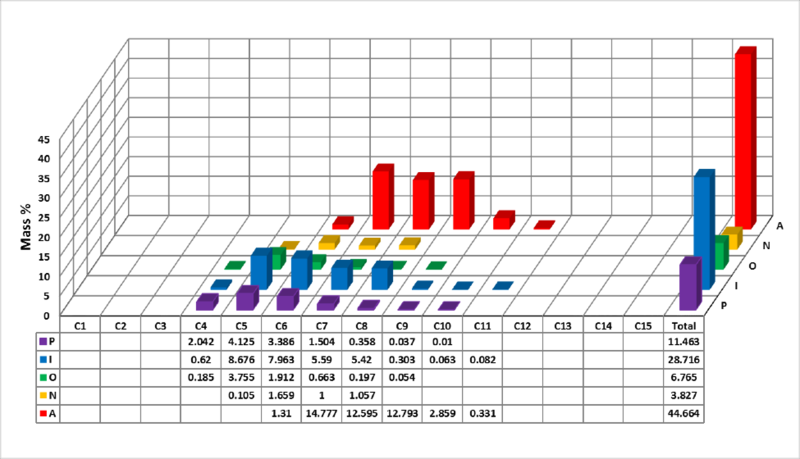 Using ASTM D8071 GC-VUV conditions, paraffins, isoparaffins, olefins, naphthenes, and aromatics (PIONA), as well as select hydrocarbons and some oxygenates, are easily quantified in gasoline-range samples in a 34-minute instrumental analysis with automated data processing. Much information is available to support this assertion, including an LCGC webinar (link below). If you’re attending the 2018 Gulf Coast Conference in Galveston on October 16 and 17, we’ll have numerous presentations demonstrating the power of GC-VUV for gasoline-range sample analysis. You can get the conference program with presentation times and abstracts here.